South Carolina is a state in the Southeastern United States. It is bordered to the north by North Carolina; to the south and west by Georgia, located across the Savannah River; and to the east by the Atlantic Ocean. South Carolina is the 40th most extensive and the 24th most populous of the 50 United States. South Carolina comprises 46 counties. The capital and largest city of the state is Columbia. South Carolina’s major industries include agriculture, textiles, and chemical products. Name of South Carolina corporation must be distinguishable from name of any existing entity, reserved or registered name, fictitious name. Company Express will research your company name to make sure it meets South Carolina’s standards. Required documents: Articles of Incorporation as well as an initial annual report. Time to file: Annual report should be filed on or before the 15th day of the third month following the end of the tax year. The filing fee is based on the corporation’s capital stock and paid-in capital or capital surplus. The minimum fee is $25. 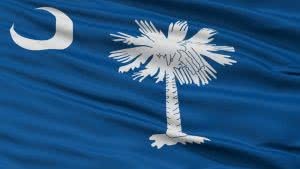 Name of South Carolina Limited Liability Company must be distinguishable upon records of the Secretary of State from the name of a domestic or qualified foreign LLC or reserved or registered LLC name. Company Express will research your company name to make sure it meets South Carolina’s standards. LLC’s principal office may be located outside of South Carolina. Local registered agent is required.